Why Wat Benjamabhopit (Wat Benja) is special ? 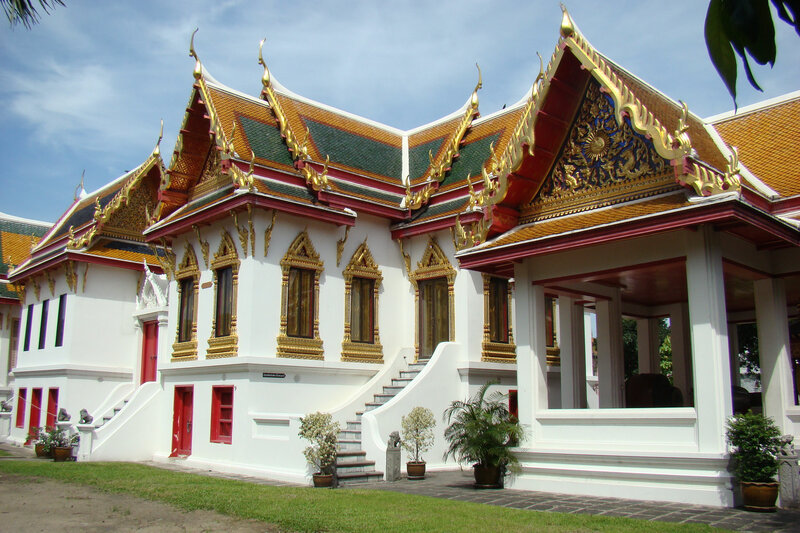 Wat Benjamabhopit, most commonly called Wat Benja was built in by King Rama V in 1900 and is renowned for more than one reasons. Nickednamed 'The Marble Temple' for all the external walls of the main temple are covered with marble imported from Italy, but also for being the temple embossed on the back of 5 baht coins! Located near the many governement offices and palaces, this wat is highly revered and is often visited by high ranked officials. 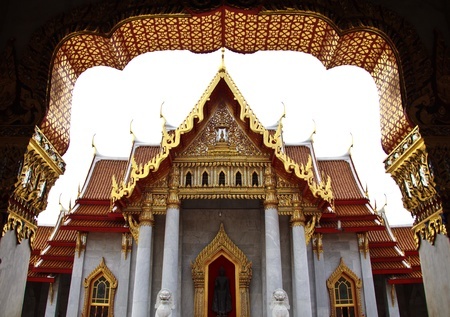 What to explore at Wat Benjamabhopit (Wat Benja)? 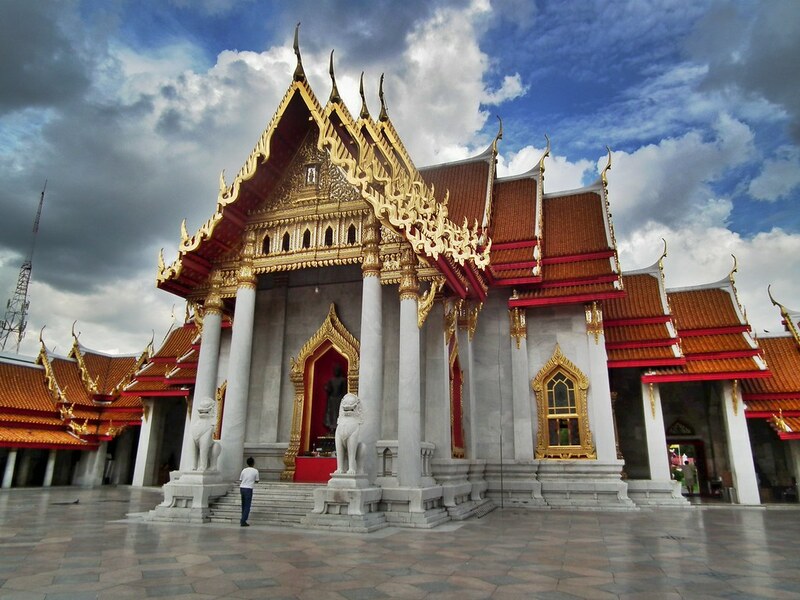 The stunning interiors feature crossbeams of lacquer and gold, paintings of important Thai stupas, and a Sukhothai-style Buddha statue with the ashes of King Rama V enshrined beneath. Between 6 to 7am each day, monks line up serenely outside the main gates to receive alms from merit-makers. Wat Benja is suitable for children of all ages. Kids will enjoy exploring the grounds, having a look around the main hall, and discovering the 52 Buddha statues housed in the cloistered courtyard outside the hall. TheDusit Zoo is within walking distance, and can be combined into the same trip. Bring water, snacks, hats and sunscreen, as food options in the immediate area are rather scarce. Don't let your kids run around, the wat is big so they can get lost. As this is a royal property, a strict dress code is observed. Refrain from wearing flip flops, sleeveless tops, t-shirts, shorts and mini-skirts.